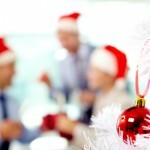 Have you been tasked with organising a party for your company or office? Our Fun Casinos are a unique and memorable way to break down those office barriers! Back a winner and make sure your event is talked about (for all the right reasons!) 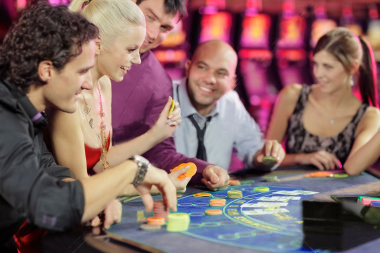 for months afterwards by providing entertainment in the form of a themed Casino party. We take the stress out of organisation, by setting up all our equipment as well as providing friendly, professional croupiers, who know just how to get your party going with a swing! And because we use ‘Fun Money’ there’s no need for your staff to worry about breaking the bank. Of course, our Casino evenings work brilliantly as an experience in their own right – but if you’re looking for something to add extra sparkle to a more formal occasion, our Fun Casino also provides a great companion to a dinner or other event, providing background entertainment all evening which can be enjoyed by everyone, whatever their age and interests! Top tip: if space or budget is limited why not go for our FunPack Casino option – see our Casino Nights page for more information, or get in touch to discuss the best options for your party.